LG’s long rumored G3 is set to be unveiled at an event (or events) across the world next Tuesday, May 27, but the big question for us has been: Will it make its way to Magenta? According to a regulatory filing with the FCC, it almost certainly will. Perhaps no surprise, given the sheer number of LG devices available on T-Mo these days. myLGphones reports that model number is LG-D851 and will work with T-Mobile’s LTE and HSPA frequencies. And while this is no guarantee that it’s on its way, it’s the best indication that we have until the event next week. This filing joins with a couple already discovered showing Sprint and Verizon compatible models of the same device. As for specifications, there have been many rumors. Perhaps of most interest is the display, which some reports have claimed will be an incredible 2k QHD display, 3GB Ram and a 13MP camera as well as the trademark rear-mounted buttons. It’s only a week before we get official word on the device, but, with LG itself posting an early placeholder online, it’s not exactly been the best kept secret of the smartphone world. Personally, I loved last year’s G2. I love the screen to bezel ratio, its display completely dominates the front of the device. And having the buttons on the back may be a little quirky, but it puts them out of sight, leaving you staring at a completely seamless device. Not only that, its curved back is very comfortable in hand, and the UI is far less in-your-face than Samsung’s TouchWiz. All in all, the G3 might just be an S5-beater. Perhaps not in terms of sales, but definitely in terms of performance, price and functionality. What do you think? Do you fancy a G3, or will you be sticking with your Samsung or HTC? Turns out, the LG G3 on T-Mobile is hiding something of an exciting secret: it could be the first T-Mobile device with Band 4 and Band 2 LTE carrier aggregation. This kind of aggregation is an LTE-Advanced technique for boosting speeds in certain areas. As of yet, AT&T is the only carrier to use it. Thanks, Tin. Just sent him message in hope he’ll update the article with that tidbit. D850 and D851 both lack Band 12. I wonder if T-Mobile will come out with a special edition S4 & G3 similar to how they came out with a special LTE equipped S3 couple years ago. The G3 intrigues me, but I also want my next smartphone to be 700mhz Band 12 equipped so I will wait to see if T-Mobile comes out with a special edition G3 4-5mo’s or so from now. I wouldn’t rule out a refresh completely for the S5 but it may not be worth waiting for if you go by how late the S3 was updated (S4 was already out a month). I doubt the S3 or S4 will be updated to band 12. Oh, thought you meant GS3. Maybe? probably depends how well it sells. Really though considering how reluctant they are to even offer additional storage and color options, we may never see a refresh on any device that doesn’t launch band 12 capable prior to the start of 700mhz deployment. Well, I’m not interested in the Note 4, way, way to big! I thought T-Mobile was good at future-proofing devices and networks. The spectrum belongs to T-Mobile, nothing prevents them. They could just get a new batch of LG G3’s that are 700mhz equipped around September ish. . .
As I said above, I hope they don’t do the multiple-version thing like they did with the GS3. T-Mobile just needs to put down the hammer and ensure -all- of their future LTE devices have band 12. It’s bad enough that they just recently let LTE phones loose without band 2 LTE. Size shouldn’t be an issue at this point with AT&T being required to comply with 700MHz interoperability, Sprint promising band 12 support, US Cellular having a live band 12 network, all in addition to T-Mobile’s upcoming network. They may be small but they have sure gained a lot of customers and momentum lately, not to mention in the big cities they compete pretty good against the big dogs. In fact I was in orlando this past week or 2 and on my nexus 5 I hit 62mbps in the middle of disney. It was great. I’ll upgrade my Note 3 only with a Note 4.
Who cares about piddly things like product info and reviews anyway right? Its the Note series, you don’t need them. The G3 is shaping up to be pretty nice, but I’m more excited about the rumors that we’ll be getting the Moto X successor. If it actually happens I’ll be getting 2, one for me and one for my fiance. If the X+1 keeps the small form factor (which I don’t know why it wouldn’t) it fills a pretty important hole in Tmo’s lineup. They really don’t have a solid Android phone that’s comfortable for one-handed use for the average person. 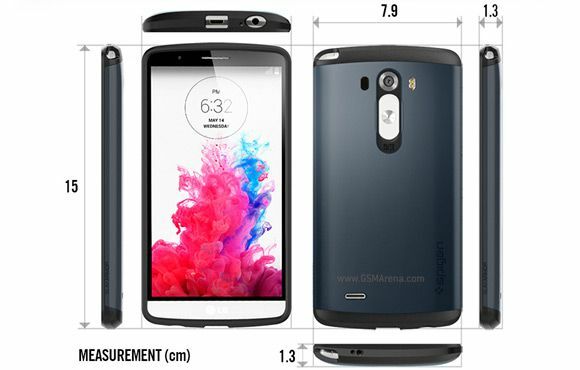 I’m actually hoping Moto comes out with a bigger version. I’ve come from a Note 2, to a Nexus 5. The Moto X is just too small for my taste. None the less I really hope Tmo supports Moto-Maker. If they would have had that from launch last year I may have disregarded the size and picked one up. I think it would be good for them to come out with a larger phone that isn’t a Verizon exclusive, but I think keeping the X at around its current size is very important. There’s still a good amount of people that prefer a somewhat smaller formfactor, and I think they’ve really found the sweet spot. It is disappointing that TMO has not been more proactive in pushing out a phone with Band 12 capability. They would attract even more customers if they offered a phone that could actually take advantage of their network improvements. G3 was most likely in production when band 12 purchase was approved. T-Mobile could still request a new 700mhz Band 12 equipped batch of G3’s in a couple months. Even worse is this will be locked down just like the G2, so no custom roms. I’ll pass until they fix that. The G2 has custom roms (I am running one on my phone now). T-mobile’s G2 has an unlocked bootloader, and AT&T’s G2 has a tool that bypasses the locked bootloader. BUT, you’re right. No doubt AT&T and Verizon will lock their phones down. I hope T-mobile does not follow suit. Yes, but that changed after the KitKat upgrade. If you applied it it is like trying to get into Fort Knox now. Sorry, I see what you mean. I think you would need to downgrade to 4.2.2 using LG Flash Tool before rooting. Check XDA. I cannot vouch for the method because I did not apply the update, so my situation is different. I flashed a modified kitkat modem to my rooted 4.2.2 phone. And you’re right, if you look to T-mobile’s forums on Xda, it has been QUIET since the kitkat upgrade. What the heck are you talking about? The G2 has plenty of custom ROMS. 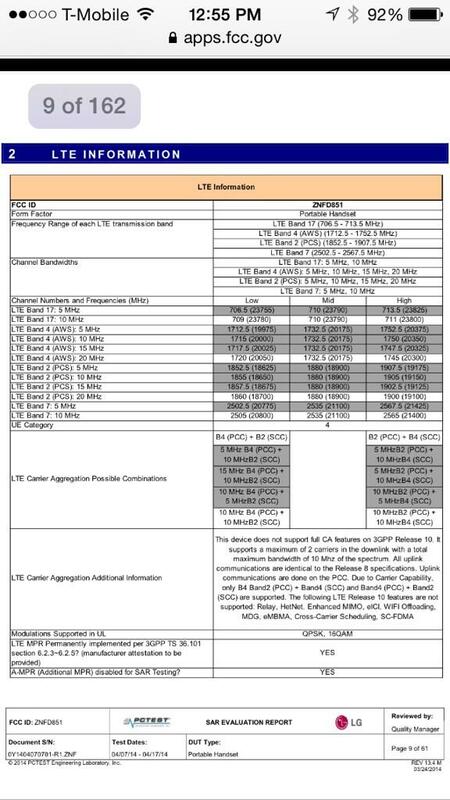 Maximus, it’s not so much that one will -need- band 12 since T-Mobile’s already stated that they’re upgrading pretty much their entire footprint with new equipment (to facilitate LTE). It’d just be nice to have a bit of future-proofing for those of us in the 700A areas so that we could take advantage of the more robust coverage once they do light it up. And I sure hope not Jay. They made enough fuss with the two versions of the GS3. T-Mobile just needs to put down the hammer and ensure -all- of their future LTE devices have band 12. It’s bad enough that they just recently let LTE phones loose without band 2 LTE. You’re right, we don’t NEED band 12, but if we want the type of coverage inside of buildings that you get with VZW and ATT, it would be necessary. This will be a serious game changer in the industry as TMO develops comparable quality of coverage to the Big 2. Not every customers are techies. Me, all I care is I get decent service and my phone is displaying 4G LTE on the top. And I don’t have to pay an arm for it. This is why I’m on T-Mobile. They made me a happy camper. I could care less what band we get. That’s just me. The discussion of Band 12 is not about being a techie. I am not a techie either. The Band 12 discussion is relevant to all TMO users, because it will dramatically enhance the service. Once the 700 mhz spectrum goes on line, most of the complaints of poor coverage inside buildings should be eliminated. This was one of the main reasons people go with VZW or ATT. They have good coverage in and outside of buildings and everywhere else. The new spectrum will put TMO on par with the big dogs, at least in the markets where 700 mhz spectrum will be deployed. However, TMO customers will not be able to take advantage of this better coverage if their phones do not support Band 12 of the 700 mhz spectrum. There is no phone out yet that has that support. This is why we are anxiously awaiting for TMO to offer phones with the Band 12 support. It will really take TMO to another level of service. no band 12 and snapdragon 805 no care. sorry but without lte band 12 i have no desire to upgrade my phone at all. For me it is pointless to upgrade knowing they will release band 12-compatible phones later this year. Then keep waiting for 14 band, then 18 band and so on and so forth. Seriously, it will take years for T-Mobile to roll out decent 12 band for LTE at this rate. But enjoy twiddling your thumbs. Compatible phones will be released beginning this year (apparently later in the year). And I have no idea where you are getting “years” from. Every source has stated that rollout begins this year and will be completed next year. So excuse me if I would prefer to purchase a compatible phone this year to take advantage of the expanded network. At this rate it’s looking bad for the new iPhone to support band 12 which will be a huge blow for T-Mobile. It does seem that way but don’t lose hope! Apple will only announce it this summer. It will likely be released in September so there will be some time for Apple to turn on the band, test it, and push it through the FCC. Update: LTE advanced on the lg g3? Isn’t the lg g2 capable of this already due to the snapdragon 800? All current lg g2 owners have to do is wait and we see the network speed increase. Talk about the lg g2 being one heck of a buy! I’m not familiar with how “generic” LGs devices are but that could just end up being for the ATT and VZW variants. If LG is providing T-mobile and ATT the same hardware but with different radio bands then it’s possible. Has T-mobile even announced when they plan on lighting up LTE-A? I don’t have interest on G3 but I’d prefer G2 Pro for removable battery and memory card support. If not, I may wait for Sony Xperia Z2 Ultra. can we get this in SILVER? get it? Silver?